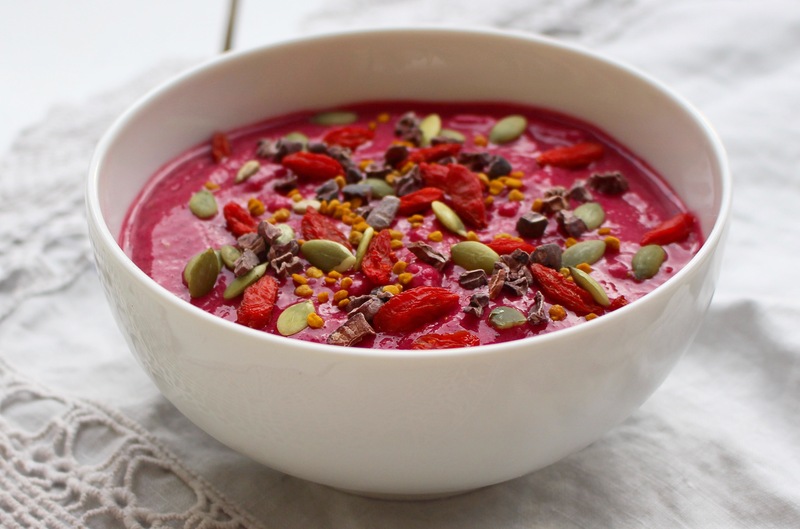 I swear these days every other photo I see on Instagram is a smoothie bowl. And these aren’t just any smoothie bowls people, these are works of art – seriously some of them are downright gallery worthy. Next year’s Turner prize perhaps? It’d get my vote over an unmade bed any day that’s for sure. Now whilst these creations are a wonder to behold, there’s no way I have either the time or the inclination to make such a masterpiece. With a little one around, prep time needs to be minimal or it ain’t happening people. Simply pop the fruit and the coconut water in a blender and whizz until smooth! Pour into a bowl, sprinkle some toppings on top and grab a spoon!